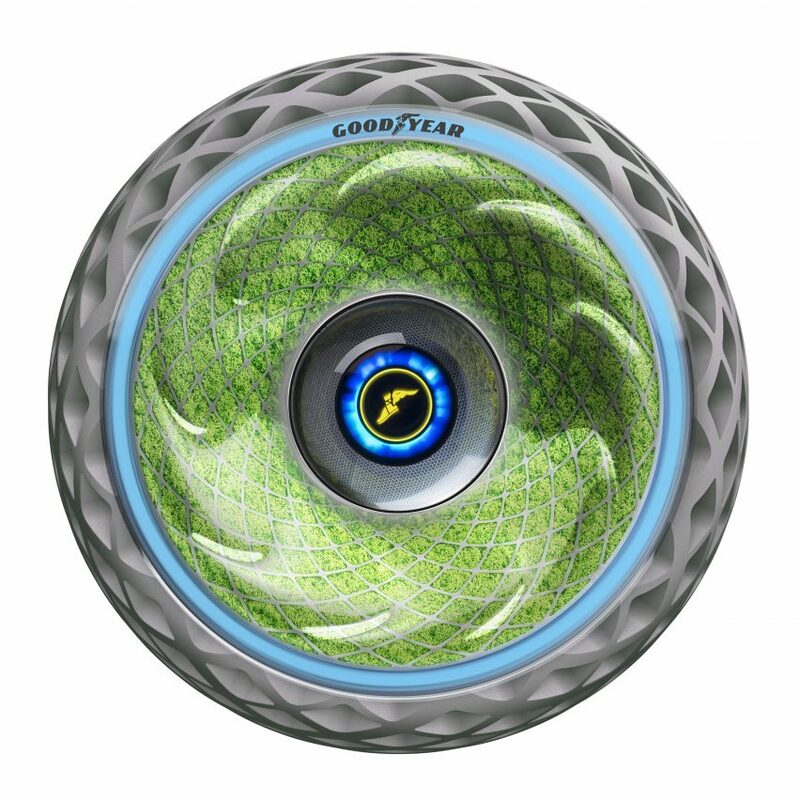 This 3D-printed concept wheel by tyre manufacturer Goodyear uses living moss to absorb moisture from the road, before converting it into oxygen through photosynthesis. The Oxygene tyre was revealed at this year’s Geneva Motor Show. The concept is a response to research conducted by the World Health Organisation(WHO) that revealed more than 80 per cent of people who live in urban areas are exposed to air quality levels deemed to be unsafe. “With more than two-thirds of the world population expected to live in cities by 2050, the demands on transport networks in urban environments will increase substantially,” said Chris Delaney, president of Goodyear Europe, Middle East and Africa. “Smarter, greener infrastructure and transport will be crucial in addressing the most pressing challenges of urban mobility and development,” he continued. 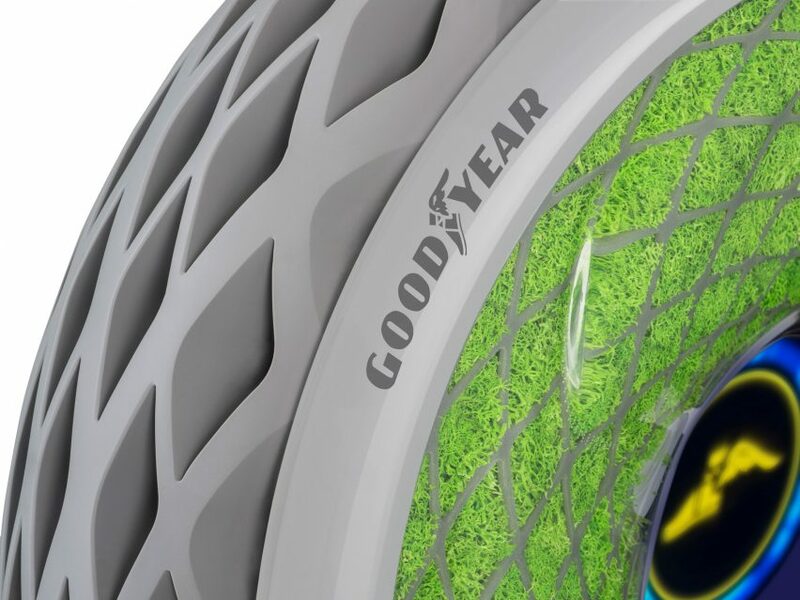 Featuring a 3D-printed, recycled rubber outer body, the tyre is filled with living moss that grows inside its sidewall. The wheel’s open structure and tyre tread allow it to absorb and circulate moisture and water from the road surface. Light reaches the moss through a transparent cover, allowing photosynthesis to occur and therefore releasing oxygen into the air. By converting carbon dioxide into oxygen, the wheel generates electricity which, in turn, powers its electronic features, including an artificial intelligence processing unit and sensors. According to the manufacturer, in a city similar to Paris with approximately 2.5 million vehicles, the Oxygene wheel has the capacity to generate nearly 3,000 tons of oxygen and absorb more than 4,000 tons of carbon dioxide per year. 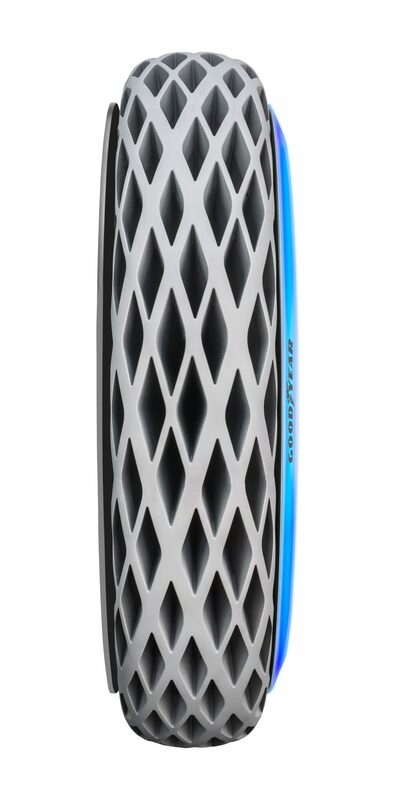 Because the tyre is a solid, 3D-printed structure, it eliminates the risk of punctures. 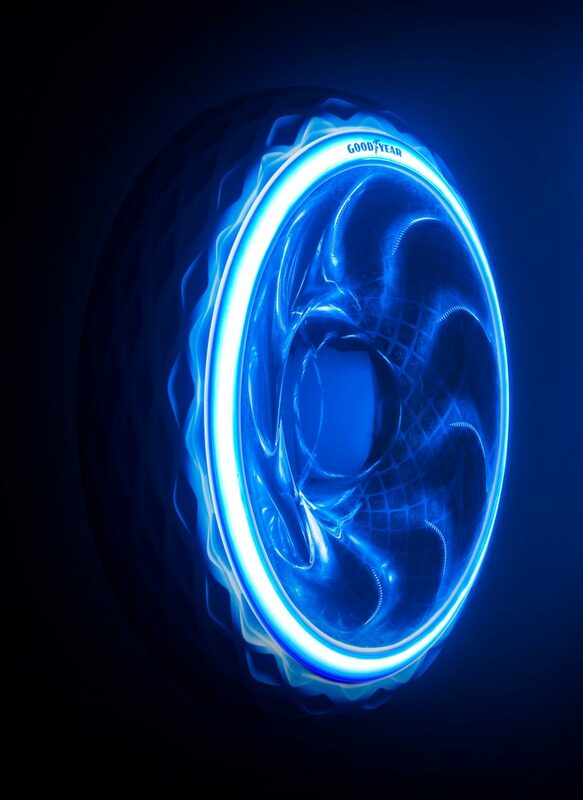 It also has a customisable light strip in its sidewall that switches colours, warning both road users and pedestrians of manoeuvres, such as reversing or braking. “Like the concept designs Goodyear has presented at Geneva in the past, Oxygene is meant to challenge our thinking and help drive the debate around smart, safe and sustainable future mobility,” Delaney said. “By contributing in this way to cleaner air generation, the tyre could help enhance the quality of life and health for city-dwellers,” he explained.